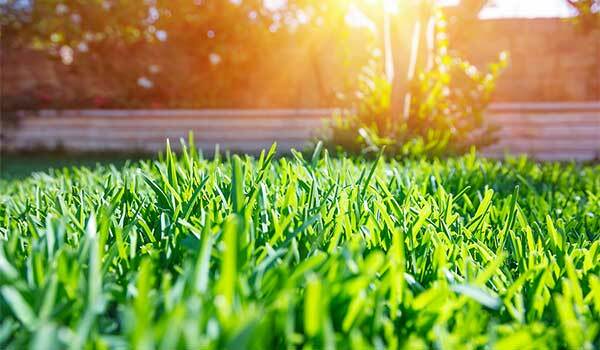 Is your lawn not looking as good as your neighbour’s? Maybe it’s time to give it some fertilizer. This a great time of year to fertilize your lawn. Use a slow release fertilizer with a blend of nitrogen, phosphorus and potassium at an approximate analysis of N:12 P:1.5 K:5. Lawn fertilizer can be purchased from your local nursery or garden centre. Be sure to always follow the application instructions on the packaging. Apply fertilizer evenly with a fertilizer spreader or by hand using a wide sweeping motion, then remember to water it in immediately after application to avoid burning your lawn. Why not take advantage of the wet weather and when it starts raining get out there and fertilize your lawn. a deeper green, with a lush feel and appearance. One disadvantage is that your mowing frequency will increase! But it’s just for the first month. It will ‘normalize’ after that. All lawns other than turf that has been laid for under three months will benefit from a good feed. With little effort the results are well worth it! Are you wondering which turf variety is best for your lawn? Call us on 1800 887 258 for a chat, or visit us to check out our lawn range.